When someone is considering hypnosis as a solution for being overweight or dealing with any other eating disorder, they typically ask 3 questions. 1. What is your success rate? 3. What if it doesn’t work for me? The problem is these questions are actually indicative of limited thinking patterns. In this case your questions act as a form of self hypnosis that actually determine your results…. The challenge with “What is your success rate?” is that what someone else experiences is very likely to be different from what you experience. No one else has your exact childhood, personal history, eating habits, belief systems or body type. I could tell you that some people get results instantly and immediately begin losing weight and improving their nutrition and getting up off the couch and to the gym. Other people have some resistance to change that it takes some time and detective work to uncover. 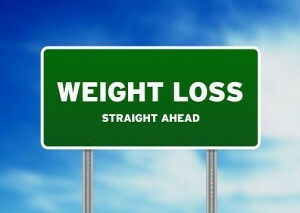 Of my last 10 weight loss clients 2 decided they weren’t getting results fast enough after 2 sessions and quit. The others experienced a whole range of successful outcomes as they began to take charge of their own change. One client stayed at the exact same weight as the inches began to melt away because he was burning fat and building muscle. Did he “fail” because he didn’t lose weight? Or did he succeed because he got fit regardless of what the scale said? Next, “How does it work?” presupposes that hypnosis is a predictable, push button process that unlike any other area of human endeavor is explainable. Ultimately hypnosis is simply following directions. You tell me what you want to convey to your unconscious mind and I give those suggestions to you. If we’ve done our preliminary work together correctly, your unconscious mind accepts the suggestions and you experience the positive change in your life. If on the other hand there is unconscious resistance to your suggestions, then sometimes we have to dig a little deeper and clear old beliefs or childhood vows or decisions that are blocking the progress you want to make. Ultimately what you are experiencing in your life right now is the result of years and years of your own self hypnosis. My job as a hypnotist is to give you the coaching and provide a useful non-attachment that allows you to get our of your own way so you can experience what you truly want in your life. And finally, “what if it doesn’t work for me?” Is the ultimate indicator that you are already hypnotizing yourself for failure. You can not even entertain that question without first imagining what it will be like when hypnosis doesn’t work for you. The truth of the matter is that hypnosis always works. 100% of the time. You are the most powerful hypnotist in the world because you are the one giving yourself suggestions all day long. Every day you are visualizing the outcomes you expect and talking to yourself and thinking thoughts that create the feelings in your body. And ultimately that is hypnosis. The difference is, I as your practitioner have some distance from your internal process. Part of how I practice hypnosis is teaching you how to effectively communicate with your unconscious mind. The other part is the actual “trance work” where you are in a relaxed receptive state while I use my hypnotic language skills to drop your suggestions into your receptive unconscious mind like seeds into fertile soil. As the new thought patterns and suggestions begin to take hold you can not help but produce a different physical experience in your body. So hypnosis always works for you as it does for anyone else. The question is are you willing to allow it to work for you in the way you want it to instead of the way it has been working?